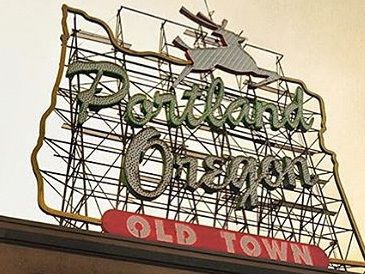 Portland, Oregon, has a big city vibe but is not all that big. Downtown is very walkable and packed with brew pubs, wine bars, farm-to-table eateries, restaurants featuring international cuisine with a west coast flair, coffee shops, and food halls. Food trucks of every imaginable cuisine are very popular in Portland. There are more than 600 of them and that is where I started my afternoon with lunch. I went to the Alder Street Food Cart Pod, the largest in Portland where someone can sample foods from around the world. I had a chicken shawarma wrap from an Iraqi food vendor. It was delicious and quite large. I barely finished it but it was so good, I had to finish. And it was less than $10.00. Portland is famous for Voodoo Doughnuts. With names like Diablos Rex, Dirt, and Grape Ape, I had to try one. Honestly I tried two. I found some of the flavors to be quite interesting. Not your typical doughnut tastes. The decorations are photo worthy. After lunch, I stopped by the Oregon Rail Heritage Center housing three giant locomotives and the relocated Brooklyn Roundabout for the Union Pacific Railroad. These engines pulled rail cars loaded with grain as well as milk cars back in the day, upon and down the west coast. Next was a jetboat ride on the Willamette River for a combination thrill ride and history tour. This is a different kind of city tour, by river. I gained an unique perspective of Portland. Our group was told, prepare to get wet as the driver spins the boat, make sharp turns, and applies the brakes without warning. Anyone with back or neck problems may not want this experience. It is not your typical sightseeing tour from the comfort of a bus window. Wet clothes dry quickly in the warm Portland summer as you head off to an organic coffee shop with chocolate pairing at Cup and Bar, on the east side of the river across from downtown. I enjoyed samples of coffee paired with chocolate squares from places like Columbia, Peru, Vietnam, and Ethiopia. The entrepreneurs from Trailhead Coffee Rosters and Range Chocolate Company have teamed up to offer ethically-sourced, small batch coffee with artisanal, small-batched chocolate from the most desirable coffee and chocolate sources around the world. Next stop, was the International Rose Test Garden in Washington Park up the hill from downtown. There are over 10,000 rose bushes of approximately 650 varieties. The roses bloom from April through October with June being the peak month. It is the oldest continuously operating public rose test garden in the United States. I walked up and down the rows of bright roses across the color spectrum. This is a great place to reflect and think of nothing else but the beauty all around you. The Willamette River valley just outside Portland is famous for award-winning wines. Our stop was at the Ponzi Winery, breathtakingly beautiful and serene. The tasting room has huge windows overlooking the vineyards allowing natural light into the large room filled with oversized sofas and comfy chairs. A recent addition was built as a dining room perfect for special dinners, corporate groups and of course, weddings. I had the privilege of dining in this room. It is an experience I will always remember and a perfect ending to a fun-filled afternoon and evening. 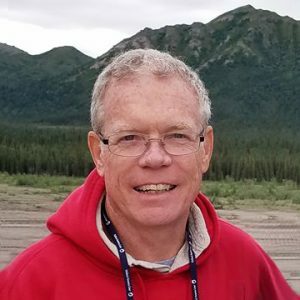 As a 38 year veteran of the travel industry and the President of MAST Travel Network since 2002, John’s career has included 14 years as a travel agency owner. He has served in various capacities on the Board of the Midwest Chapter of ASTA including Treasurer and Vice President. John has also held several positions on the Board of Directors for MAST including Vice Chairman and Board Chairman during the years he owned Travel Group International, a MAST member during the 1990s.